In the aftermath of Hurricane Sandy, a tree crushes a Range Rover SUV in Fort Greene, Brooklyn, NYC. This happened on South Elliot Street, across the street from Brooklyn Tech High School, where I graduated from in the class of '98. 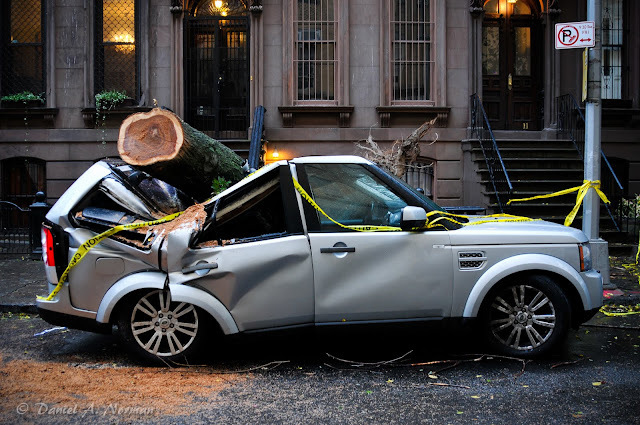 Hurricane Sandy's strong winds pulled these old trees out of the ground throughout New York City. Hurricane Sandy was really the Halloween Frankenstorm that the media was calling her. After Hurricane Sandy, New York City is dark. 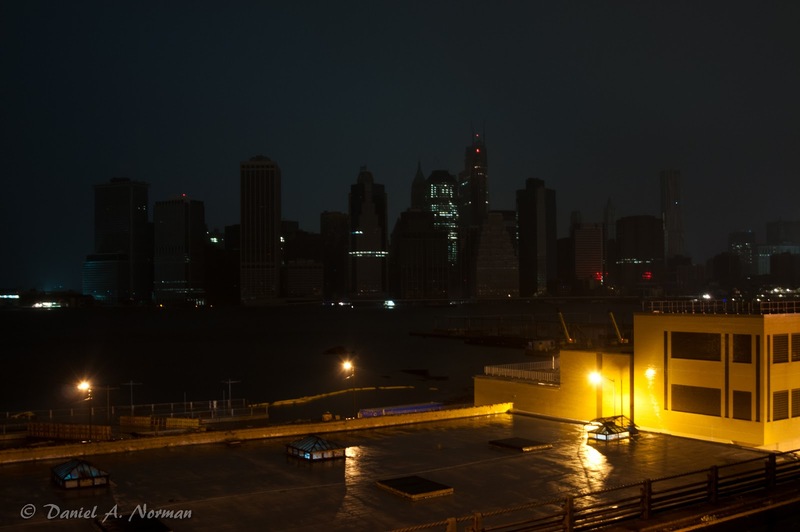 Power was cut off for Lower Manhattan because of severe flooding. This image is taken from Brooklyn, and the lights in the foreground are in Brooklyn. It's a very rare occasion to see NYC without any lights.